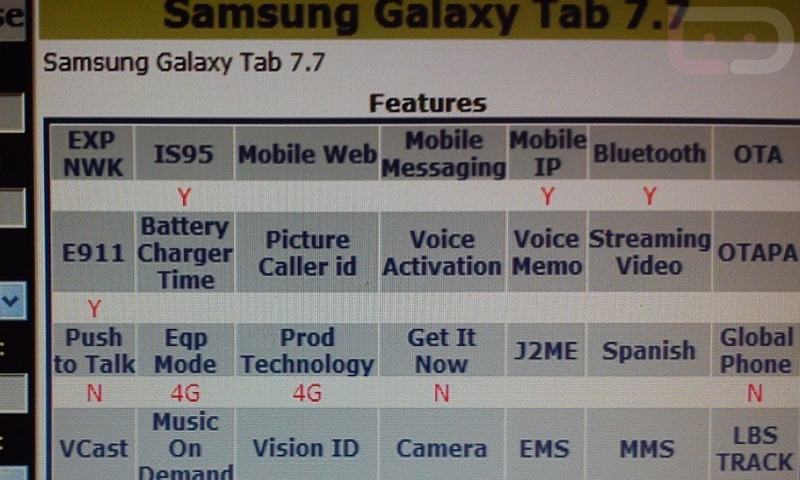 Just in case the Galaxy Tab 10.1″ with LTE, both XYBOARDs at 10.1″ and 8.2″, the XOOM, or the iPad weren’t enough tablet options, you may be adding Galaxy Tab 7.7 with LTE to the list. This device was originally announced back in September for Europe, but rumors of it finding a spot in the states soon emerged. Since Verizon is the biggest LTE carrier here, it only makes sense that they would carry it. Some think that 10.1″ tablets are too big, so this may be the sweet spot that those folks are looking for. The original Galaxy Tab 7 never really stood a chance thanks to it lacking Honeycomb – can this one succeed? Not many carrier-branded Android tablets have to this point. We’ll see if this will be the first. Oh, and 12/7 is not a release date. That’s when the device made its way into VZW systems.